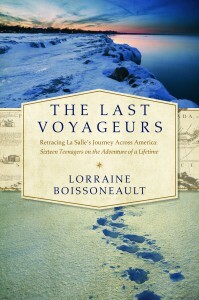 In 1976, America’s bicentennial, 24 young men set out to re-create French explorer La Salle’s voyage down the entire length of the Mississippi River, abandoning their modern identities in order to live like the voyageurs of the 1600s. Together they set off on an eight-month, 3,300-mile expedition across the major waterways of North America. They fought strong currents on the St. Lawrence, paddled through storms on the Great Lakes, and walked over 500 miles across the frozen Midwest during one of the coldest winters of the 20th century.